EXPORTS of black olives from Spain to the USA have fallen by 42.4% in the last year because of the latter’s president, Donald Trump having applied customs charges. The 17.13% ‘anti-dumping’ charge did not begin to apply until January 28 and many annual export contracts in place were not due to expire until after this, meaning the actual yearly figure could be considerably worse, according to the Spanish Association of Table Olive Industry and Export (ASEMESA). 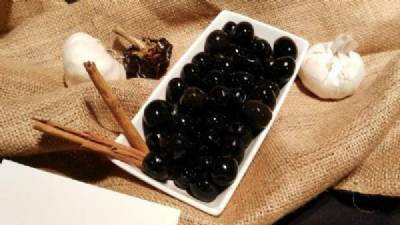 From 6.9 million kilos in the first quarter of 2017, the amount of black olives sold to the USA fell to four million kilos in the same three-month period of 2018, as shown by customs records from the North American country collated by ASEMESA. Yet exports of black olives from north Africa and the Middle East rose by an aggregate 16.3% year on year, from seven million to 8.2 million kilos, showing exceptional growth in Morocco, which has seen an increase of 33%, or three million kilos in total. Egypt’s 1.2 million kilos were an increase of 50% on the first quarter of 2017, whilst Turkey’s 400,000 meant a rise of 82.3%. Spain remains by far the largest exporter in terms of quantity, but given the dramatic drop in trade, ASEMESA’s secretary-general Antonio de Mora says growers are becoming very worried and that he has called for national governments and the European Commission to ‘protect the sector on a political level’ in the same way they have done so with steel and aluminium. “Technical protection is not enough, and the system of benefits under the CAP [Common Agricultural Policy] could be in jeopardy,” De Mora warns. The USA’s two units in charge of research into cross-border trade are due to announce concrete results and policies in the next two months – the Trade Department will report on June 11 about anti-dumping and anti-subsidy investigations it has carried out, and the International Trade Commission will publish results of research on the extent of damage to the Californian agricultural industry on July 24.